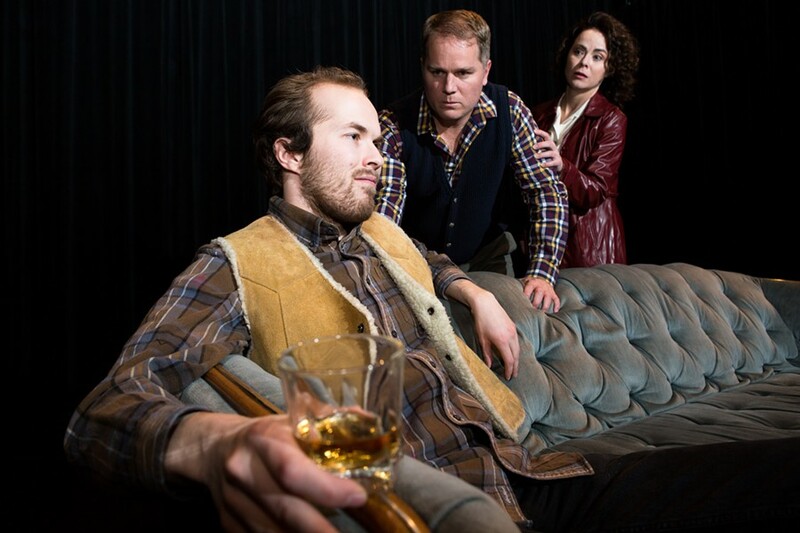 Pinnacle Acting Company's The Real Thing, Art Stroll Ogden and more. Happy New Year, and welcome to your latest reminder of the multitude of arts & entertainment options available in this state that can't be contained in one print paper. Let's go Beyond Essentials. Pinnacle Acting Company premieres its production of Tom Stoppard's Tony Award-winning play The Real Thing (pictured). The story follows a woman who enlists the help of her playwright husband to produce the work of her latest charitable "project," a criminal who is attempting to turn his own play into a political defense of his own crimes. Performances run Jan. 4-20 at Westminster College's Dumke Auditorium (1840 S. 1300 East), with varying dates and times; tickets are $15-$18. Two new exhibitions launch as part of Ogden's First Friday Art Stroll Friday, Jan. 5, 6-9 p.m. Artist Paul Crow presents work inspired by satellite images capturing changes in polar ice in On Thin Ice at the Weber County Building (2380 Washington Blvd. ); performance artist Kiki Coquette makes her visual arts debut with Beyond the Stage at 2444 Washington Blvd., across the street from Peery's Egyptian Theater. Both exhibitions run through Jan. 30. Local editor Stephen Carter presents Moth & Rust—a collection of unorthodox essays about encounters with death within the Mormon tradition, by contributors including Devery S. Anderson, Eric Samuelsen and Stephen L. Peck—at The King's English Bookshop (1511 S. 1500 East), Tuesday, Jan. 10 at 7 p.m. Admission is free.